We decided to have Henry 6 months into our relationship. When you know, you know. So we didn’t get to travel much as a couple, the furthest we went was London to see a comedian and we stayed overnight. And even then, I was 34 weeks pregnant so we weren’t totally alone! But just because we’ve now got the boys doesn’t mean we can’t go away. We haven’t managed to go abroad yet. My passport is massively out of date (it’s got my first school photo on it!) and Gareth has never left the country. We’re aiming to go to Italy next year but it’s a question of being organised enough to arrange it. This year, we’ve got 2 “big” holidays planned, as well as a couple of weekends away. So I thought I’d share them with you. 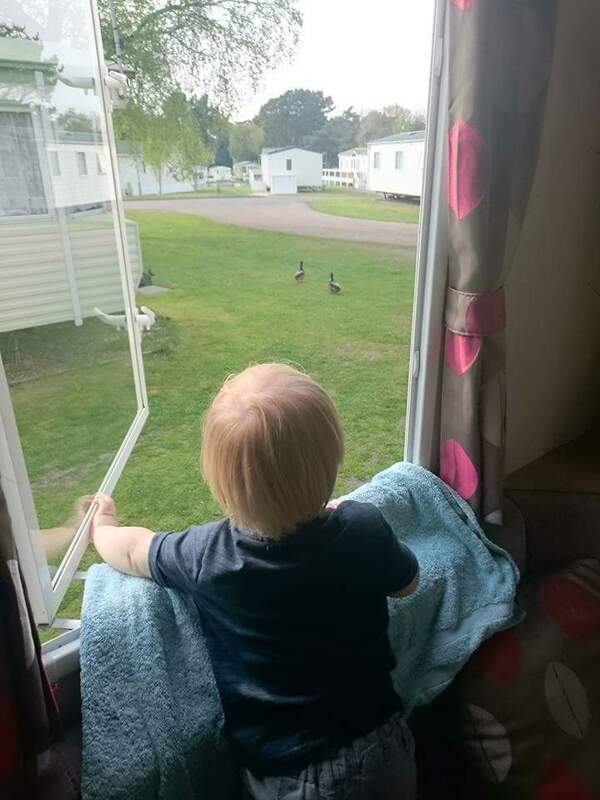 Haven in Great Yarmouth – We had our first Haven holiday in 2015 and it was actually our first family holiday too. We’re going back this year but to a different park. We only live about 2 and a half hours away from Yarmouth but it’s a nice distance for travelling with young children. Last year we were away for Henry’s birthday and this year it’s Gareth’s turn. We’re obviously doing the Sea Life Centre but there’s also a dinosaur park nearby as well as Bewilderwood so I’m sure we’ll find enough to keep us amused. We’re going for 4 days which is just long enough. Edinburgh – We get married in July (eek!) We weren’t going to have a honeymoon but we decided on a mini holiday in the UK. It was close between York and Edinburgh but Edinburgh won. We’re staying at the The Grassmarket Hotel. Apart from that, we really don’t have any plans at all! Obviously the zoo and there’s a whisky experience Gareth wants to do (I hate whisky). So if there’s anyone reading this who lives there or visits often, any recommendations would be welcome! It’ll be our first solo trip, the boys will be with my mum. I’m slightly nervous but I think we’ll enjoy it. Norwich – Again, this isn’t far from us at all and I could drive there in a day. Gareth’s got a Viking event over that way (he does Viking re-enactment) and he likes us to go to as many events as we can. It’s a bit much to expect the boys to travel over there early that morning, hang around all day and then drive home again. And any excuse to stay in a hotel right? Plus we’ve never been to Norwich so that counts as a “holiday”? Camping at Equata – This is also for Gareth’s Viking events and I’m not actually 100% sure if I’ll camp with him but there’s an annual open day at a horse charity near us. It’s great fun and we usually spend all day there. But Gareth’s tent is super small and last year, me and the boys were on one double airbed while Gareth had to squish between the airbed and the door. Short Stay Camp at Equata – Alright, so it’s at the same place but it won’t be in a tent. They’ve got these gorgeous artic cabins which look magical. The boys would have the opportunity to play in the surrounding woodland and interact with the horses. There’s also a nice playground there, it’d just be nice to get away from city life. That’s all for this year, although I’m sure we’ll have a few spur of the moment camping trips or weekends away. As much as I don’t like camping, I just enjoy spending time with my 3 men. Do you have any holiday plans for this year? I’d love to hear them. My Facebook I LOVE bewilderwood. Norfolk and Norwich is my go to place (family so zero hotels bills) but I hope you have an awesome time.